Congratulations to the Class of 2018! 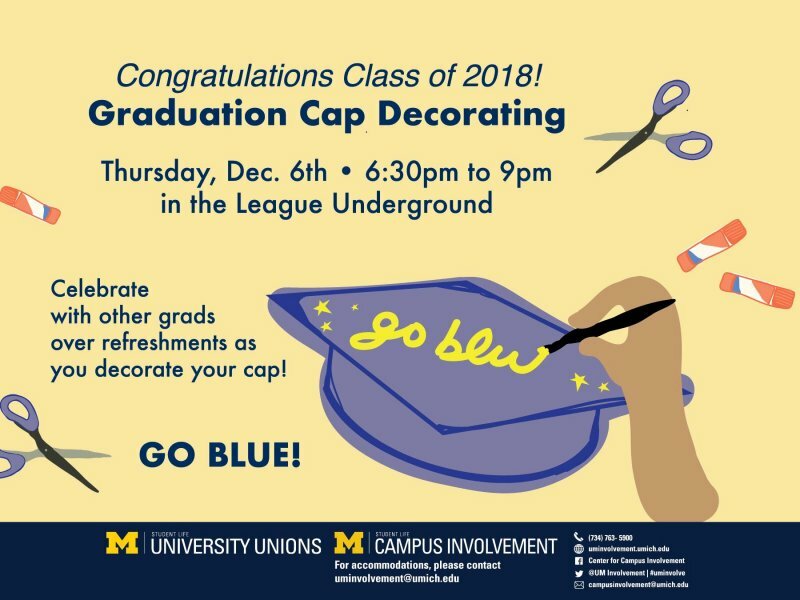 Kick off graduation celebrations with a graduation cap decorating party on Thursday, December 6th from 6:30-9pm in the League Underground! Join your fellow grads, enjoy some refreshments, and get crafty with your cap! Supplies will be provided!